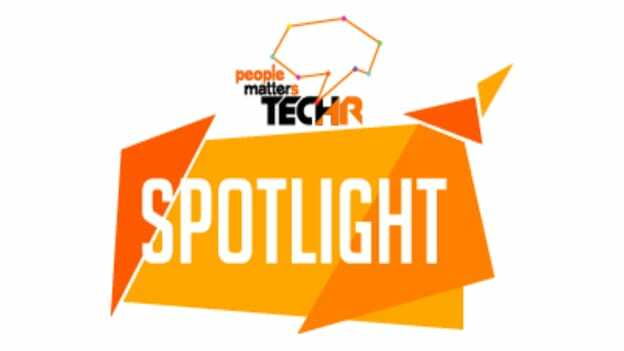 People Matters Tech HR – Asia’s largest HR technology event is now in its 4th year, one of the important features of the Tech HR has been the TechHR Spotlight initiative. Spotlight program aims to identify & recognise HR technology start-ups in India with a view to provide them with a platform where they do get a wider recognition and it helps them survive and succeed. And this year the program is bigger and better! It is no more just an award but a movement in itself that aims at bringing 40 emerging HR Technology start-ups across Asia under one roof, as they make elevator pitches to a group of mentors during the conference. This being a one of its kind program, I decided to look under the hood and see if it really made a difference to the participants. Hence I chose to look at participants and winners from 2014 & 2015 particularly to see if they really survived and thrived in the crowded HR Tech market. The total number of applicants for this program has been growing steadily over the last 3 years and that is in line with the growth of HR Technology start-ups in India. As per some estimates, the total number of HR Technology start-ups in India could well be over 700. A large percentage of these start-ups apply for the Spotlight award, primarily because this is one of its kind start-up recognition platform specifically focused on HR Technology space. The ability to put you in front of HR leaders, industry influencers, and investors is a unique opportunity for any HR tech start-up. The survival rate of winners – measured purely in terms of 'if the start-up remains in business' has improved from 67% to 100% over these 3 years. While I agree that winning the award is not the only factor which contributes to the survival of the start-up. I believe the ability to identify something that’s valued by the industry will reflect if it survives. Roughly 50 to 70% of the companies participating in this award process are funded companies, thus indicating that most start-ups consider participating in such awards only when the product is ready and very few would participate in this process when all they have is an idea. The average time taken by the award winners to raise their series A funding is roughly 5 years. This is in line with most other tech start-ups and indicates that winning an award is a start but you still have to ensure that you execute on the business to survive and succeed. Just like most global HR Tech start-ups, most HR tech start-ups in India are started by technocrats who want to solve the particular problem primarily based on their working experience. In my effort to understand the impact of the spotlight program I also interviewed some past winners and understood how participating and winning the award has helped their companies. Quizworks calls itself an engagement design company. They use quiz and Gamification for customer and employee engagement. They won the Futurism in talent management in 2014 for their product PlayDay. It was a gamified learning technology product which aimed to replace LMS via something that was available in the hands of employees via their smartphones. They were a bootstrapped startup when they participated in the process and had some paying customers. Winning the award helped them get some marketing and advertising via people matters platform and helped them reach the right audience. The recognition helped them gain credibility in the eyes of their prospective customers. They have now rebranded the product as Outsell and primarily focus on companies with distributed sales force and help them in effective onboarding and improving productivity by providing product information effectively to the sales force. Electronic storage and verification of important documents like educational qualification is a critical factor in today’s day and age. This company is looking to solve this problem and has already made some great progress in this space. They are offering private digital lockers to users where all your documents can be electronically saved and are verified, thus ensuring that your application whether it is for a job position or visa in a particular country is seamless. They won the award in 2015 in the category of Futurism in Recruitment as their solution works with background verification companies. It helps them cut down the cycle time drastically while also reducing the overall cost of the process. Tech HR gave us visibility and that has helped us scale our business” – Thomas Tharakan – CFO- Tharakan Web Innovations Pvt Ltd. The company which claims to have consumerized the assessment market by building a solution anchored to simplicity and flexibility. Most assessment products and platforms were based on the need for people to get certified to use the products and hence usage was mainly focused on senior leadership. The company identified these 2 problems and hence focused on middle and junior management assessment for hiring and development. The company now offers development focused solutions like 360-degree assessment, development/assessment centre etc, on their platform. They won the award in Futurism in HR analysts in 2014. At that time the company had about 30 odd customers, and now they have 300. Some of our last year winners like Truworth Wellness, XoXoday and Core Integra are also gaining momentum in the market recently. The Indian tech start-up economy is maturing and with more similar awards and recognition it will further mature. Such programs not only help provide a platform but also help showcase a broader variety of solutions. As Michael Dell once famously said – “Ideas are commodities, execution of them is not”. The real key is in execution while we need to recognise and celebrate ideas. Click here to be a part of the TechHR Spotlight 2017.